His books include StrengthsFinder 2.0, Strengths Based Leadership, Wellbeing and Eat Move Sleep: How Small Choices Lead to Big Changes. You can discover more about his work via the following link. He is a guest lecturer at the University of Pennsylvania and a Senior Scientist and advisor to Gallup, where he previously led the organisation’s work on employee engagement, strengths, and wellbeing. Tom is a modest person. I first contacted him to ask if it was okay to write about his contribution to the strengths approach. He responded immediately, but said that all his books were actually the result of collaborative work from many people at Gallup. Whilst he obviously has an enormous amount of knowledge, he has put himself in the background and tried to use this wisdom to help others. Here is the introduction to his book StrengthsFinder 2. You can discover more via the following link. In 1998, the Father of Strengths Psychology, Donald O. Clifton, Ph.D. (1924-2003), along with Tom Rath and a team of scientists at The Gallup Organization, created the online StrengthsFinder assessment. 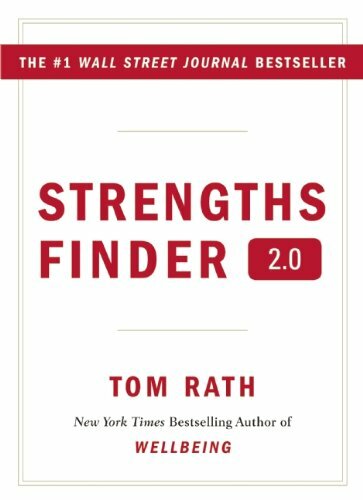 StrengthsFinder 2.0 is an effort to get the core message and language out to a much broader audience. 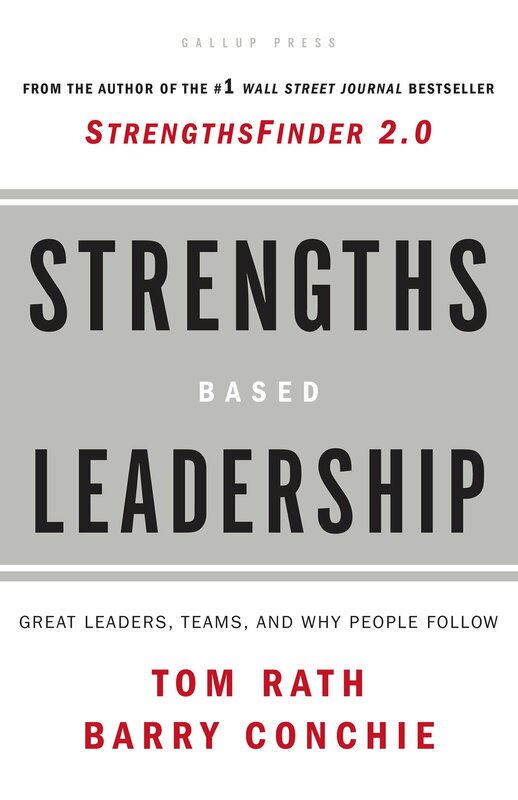 We had no idea how well received the first strengths book would be by general readers – it was oriented more toward managers – or that the energy and excitement would continue to grow. More than two million people have taken the StrengthsFinder assessment, and each month, the number of people learning about their talents goes up. So we went back and surveyed hundreds of them and asked them how they apply their talents. Then we whittled their suggestions down to the ten best ideas for each theme. We also added more than five thousand Strengths Insights to version 2.0 that allow us to offer more individualized theme descriptions than we could before. So, instead of general descriptions of your top five talent themes, in 2.0, you get a talent profile so unique that you’re unlikely to share even a sentence with someone else. And as I said, the first book was really written for a business audience. People have had trouble retrofitting the theme descriptions if they are in non-management roles, but they’ve tried. This book helps readers apply strengths theory to any type of role and gives them ideas to help them apply their talents in their daily life. Tom went on to co-write Strengths-Based Leadership with Barry Conchie. 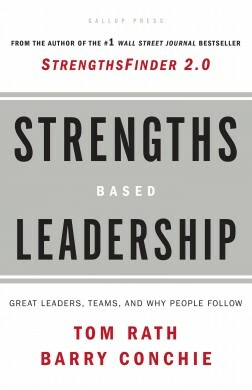 This enabled leadership teams to build on their strengths. It also underlined the following message. Great leaders are seldom well-rounded. But it does turns out that the best leadership teams are well-rounded. Tom has been interested in wellbeing since discovering he had a genetic cancer condition that posed huge health challenges. Working with Jim Harter, he produced Wellbeing: The Five Essential Elements. This focused on Career Wellbeing, Social Wellbeing, Financial Wellbeing, Physical Wellbeing, and Community Wellbeing. 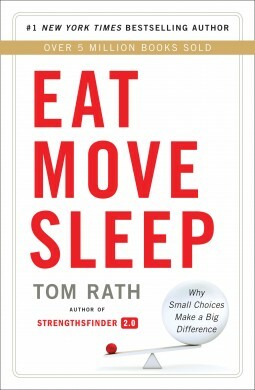 Tom then produced his superb book Eat, Move, Sleep. This has enabled many people to focus on and change their lifestyles. Below is a Question and Answer session with the publisher that reveals much about the book. You can discover more via the following link. After writing business books for more than a decade, I realized that improving health is the biggest business challenge of our generation. Nothing breaks household finances, corporate balance sheets, or national economies faster than poor health. But the much larger reason why I decided to focus all of my time and energy on this topic is because I was tired of seeing people that I care about suffer unnecessarily and die early. I first started doing this research to save my own life, literally. While I have been reluctant to discuss this before, I have been battling cancer for more than twenty years now. Ever since my diagnosis, I’ve spent time every day learning about specific things I can do to extend my odds of living a bit longer. Over the last decade, I have focused more attention on helping friends, family, and colleagues to learn from these discoveries and lead healthier lives. What I learned, not only about how to prevent cancer, but also how to prevent heart disease, diabetes, and obesity – is remarkably encouraging. The vast majority of human disease and illness is preventable. There are hundreds of specific, proven actions we can take to increase our odds of living longer and stronger. What matters most are the small decisions we make each day, ones that give us more energy in the moment and also prevent illness in the future. The second major finding is that these three elements – eating, moving, and sleeping – build on one another. Eating right makes it easier to be active. Being active makes it easier to sleep. Sleeping well helps you to avoid bad foods, and so on. As a result, working on all three at once is even easier than focusing on one area in isolation. Q: Don’t we already know that we should be eating, moving, and sleeping better? 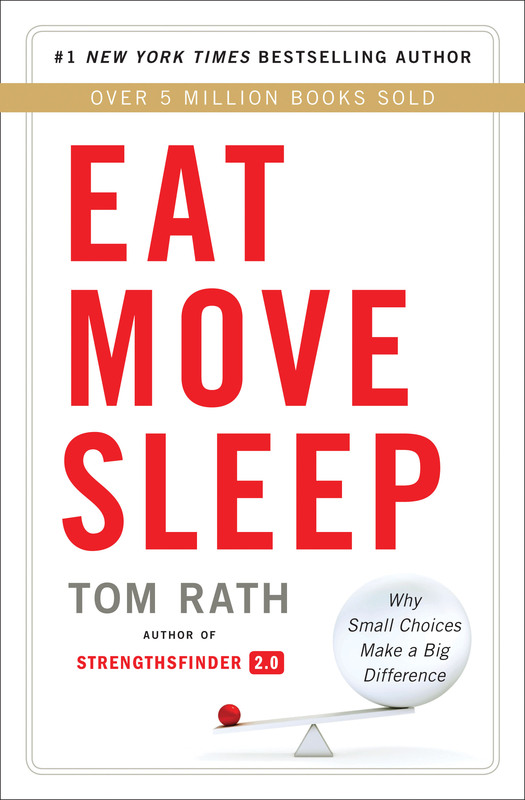 In Eat Move Sleep, I cover a lot of the essentials that people know they should be doing, but have trouble applying on a daily basis. I like books that help me figure out how to apply things I already know but don’t do. There are several things in the book I have known for a long time, yet did not practice myself until I learned new ways to connect short-term incentives with what is best for my long-term health. Frankly, my biggest challenge in writing this book was narrowing down to the most practical findings for a broad audience, given the wealth of good science on these topics today. Finally, here is a video up by The BigSpeak Speakers Bureau. This provides an introduction to Tom’s work.